Design Hunter is proud to be an official media partner for the May Design Series, a new three day event in the London design calendar taking place at Excel from 19-21 May. With the event now only four weeks away here's a round up of some of the exhibitors and speakers we are most looking forward to seeing. Danish furniture manufacturer PP Møbler is a company with a proud tradition of craftsmanship and known for championing beautiful Danish design, in particular that of Hans Wegner. The Peacock Chair (above) is Wegner's homage to the classic windsor chair. Originally manufactured as far back as 1947 it was put back into production by PP Møbler in 1992. D*table, the first product to be released by experimental design and architecture practice D*Haus, is a furniture piece inspired by the Haberdasher's Problem, a century old puzzle proposed by the mathematician Henry Dudeney. The simplicity and elegance of this mathematical formula, which calls for a unilateral triangle to be dissected and rearranged into a square in just four pieces, inspired designers David Ben-Grünberg and Daniel Woolfson to create a range of products based on solutions to the puzzle. D*table is devised of four segments on hinges which can be rotated to form a square, a triangle, or any number of shapes in between. The hinges can also be removed to create four individual side tables. 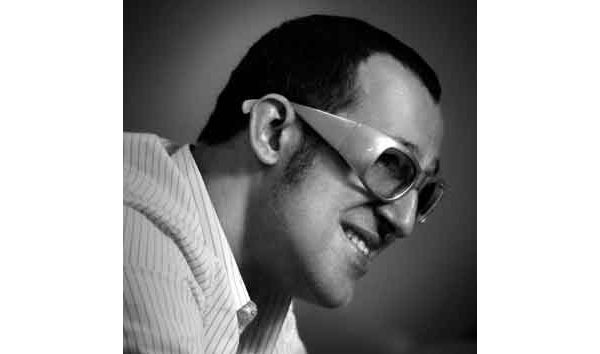 In a keynote session at the Conversation Series Karim Rashid will be exploring how design shapes our daily lives and our future and how the move from analogue to digital has impacted our material world. He'll also be wrapping up the night on Monday 20 May by taking to the decks for a DJ set. Scandinavian Carpenter Collective is a Finnish company creating furniture and design concepts that focus on making our environment more beautiful, functional and sustainable. They'll be taking part in DX Freight which aims to present a selection of highlights from the European design season. Their Cargo Kitchen, designed by Kaisa Luukkanen is a completely transformable kitchen concept that includes the KV1-tap designed by Arne Jacobsen in the 1960s - alleged to be the only tap to feature in the Museum of Modern Art's collection. Ligne Roset are marking 40 years of Togo with a number of limited edition fabrics and patterns for the iconic sofa - including houndstooth and a floral print velvet jacquard. Selected pieces from their 2013 collection will also be shown at the May Design Series. The collection features new collaborations with 40 designers including Nathan Yong, Benjamin Hubert, Outofstock and Patrick Pagnon and Claude Pelhaitre. Leicht will have one of the largest stands at the show where they will be exhibiting their sleek German manufactured contemporary kitchens, including this minimal handleless design, the Contino FS. Bazaar Velvet will be displaying a selection of luxury hand knotted rugs from their beautiful and highly covetable collection. The company works with top textile designers, using the finest silks and wools and employing tradtional time honoured techniques. They are also proud members of Good Weave, an organisation that campaigns against child labour in the rug weaving industry. Students from the Royal College of Art will be designing two inspirational bar areas at the show. As well as creating the design concept for the show Ab Rogers will also be taking part in one of the Conversation Series events alongside Simon Jordan of Musicity - they'll be discussing the use of sonic design to transform interaction with a place. Portugese company Boca do Lobo will be exhibiting their uniquely characterful furniture collection. 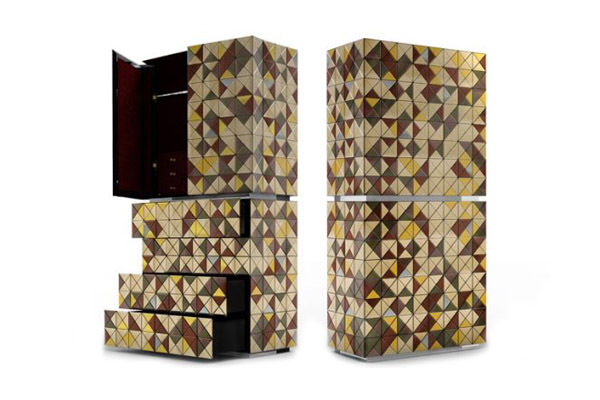 Often making a showstopping statment, like this pixel anodized cabinet, each piece is artisan made and designed to evoke emotion, inspiration and desire. Finally, if you are planning on going along to the event you may like to know that there is now an app available to download on iPhone, iPad or Android to help you plan your visit. The May Design Series takes place at Excel in London from 19-21 May. You can register here for free entry. Read Design Hunter's earlier post on the May Design Series here.